BUZZARD BUSHCRAFT: Blade Scratch or Crack? 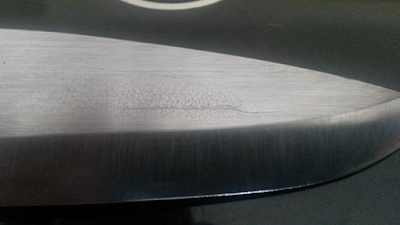 as I did I noticed dimpling on the blade, this to me is a worrying sign as it can mean over heating on this part of the blade,but the more I worked on the blade something became evident,a scratch or was it a crack??? 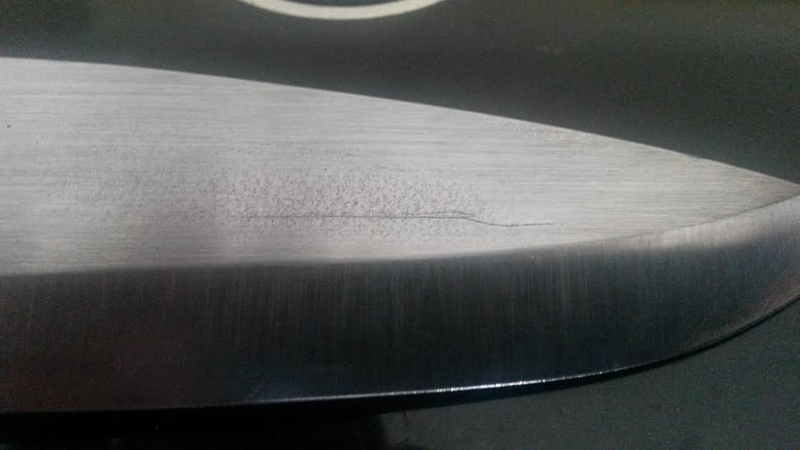 generally, as it's running horizontally I would have considered it a scratch and not worried, but the dimpling around it has me convinced that it's a crack, I'm a bit miffed to say the least.. 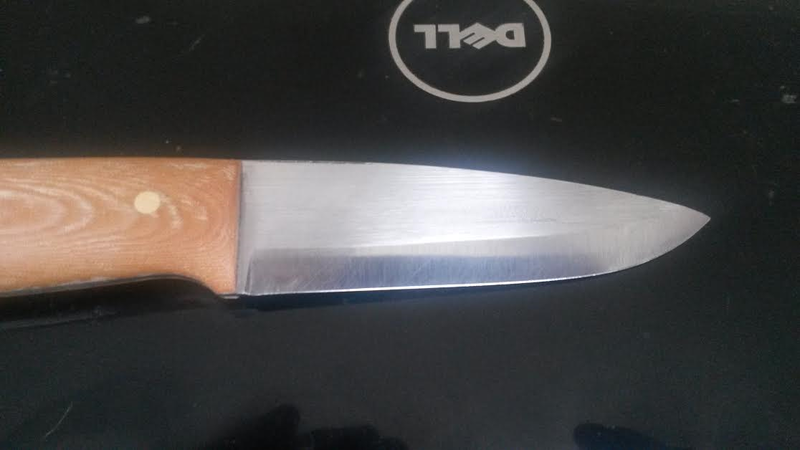 I'm going to work the blade and see what happens with it over the next while but it has made me cautious over buying scale covered blades in the future.